Benefit They're Real mascara is my ultimate holy grail (do bloggers still use this term?) when it comes to mascaras. I have gone through countless tubes of this stuff and even though I try to find alternatives nothing ever matches up to this. I am also a fan of the push up liner and my mum even swears by it! 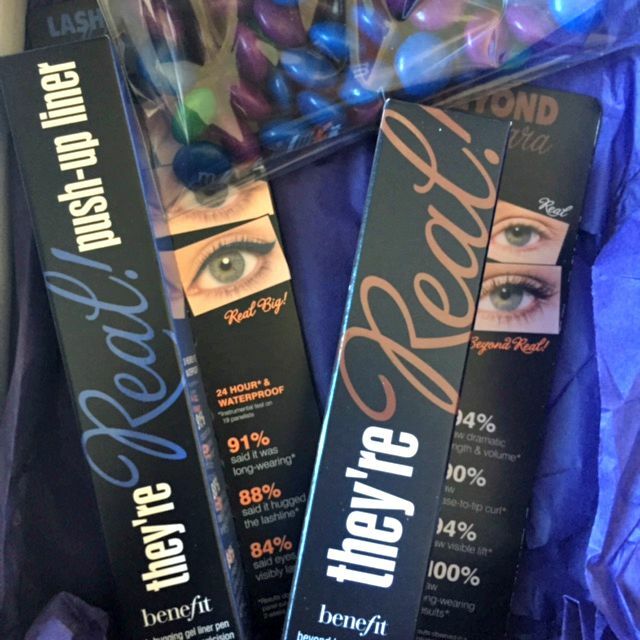 As some of you may already be aware of, Benefit have launched They're Real mascara and Push Up Liner in a range of shades. 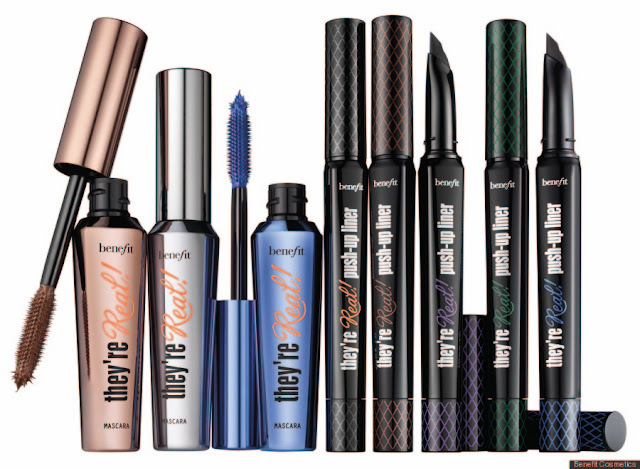 Alongside beyond black, Benefit have launched brown and blue they're real mascaras and the push up liner in blue, purple, green and brown. This was definitely a range that I was excited for and boy it didn't disappoint! I recently attended The City Girls event in Leeds (there is a post to come on this!) and was introduced to the new They're Real range of colour liners and mascaras and tried the push up liner in blue, alongside the brown mascara. The result was subtle but definitely made my eyes pop. My other half even noticed and loved it also! Fear not, this range isn't half as scary as the 90s craze of colour hair and eye mascaras and is much more wearable and a way to switch up your usual beauty routine as they aren't too vibrant and much more natural than I was expecting. Packaging wise the tubes of mascara and push up liner are exactly the same as the black if you are familiar with the usual packaging, however the lids of the colour push up liners are the shade colour and the whole tube of the mascara has changed to either blue or brown. The outer packaging has also stayed the same. Both products are available to buy now from Benefit counters or from the Benefit Cosmetics website. The mascara is £19.50 and the push up liner £18.50.